Dr. Morris was awesome! Very thorough and very friendly. Both my husband and I really liked him and have already referred co-workers and friends to him! There is nothing you can do to improve what is already an OUTSTANDING group! Every time I go to the clinic I am met with smiles at the reception desk! The staff here are amazing! They are always so cheerful and helpful! Dr. He continues to treat me for a challenging eye issue and she has done an outstanding job! My eye issues are resolving thanks to her unwavering support and recommendations! I would highly recommend the White River Family Eyecare group! They treat you just like family! Thank you all!! I love the reminders via email and text- the office staff is excellent, a welcoming smile as you come through the door- well it goes a long way to making me feel like I matter. Thank you! The care and service was excellent. Dr Pittman was very good with my 4 year old. Although usually an anxious child the dr was able to make him feel calm and the experience enjoyable. Highly recommended practice and Dr. Overall, the best eye doctor appointment I have ever had. I feel like the doctor had time to answer my questions and didn’t rush off to another patient. This was a really snowy morning, too. The rest of the staff was super friendly. Thank you. Professional on a level that is personable. I know, it sounds ridiculous, and why am I talking about my optometrist with the enthusiasm reserved normally for rating wedding planners… or for something exciting? But, Dr. Pittman is the best man for the job in terms of eyecare. I was a regular customer of his predecessor, Dr. Brannen – to this day a great practitioner himself. I feel that within a handful of visits – the last one being over 18 months ago – Dr. Pittman has kept tabs on my optical situation, and can serve my requirements. I’m going to keep going, of course, as long as I live locally, and probably getting a reasonable deal – financially – on Hanover Eyecare’s durable but eye-catching eyewear. I recently was in to purchase eyeglasses. The optician, Miranda, was so helpful. Not only did she help me pick out my frames, she educated me on why a pair of frames would be better than another pair. She took the time to talk to me about my lens options in a way that I could understand! I shopped all over the Upper Valley for glasses and chose to purchase with you because of her. Outstanding and kudos to Hanover Eyecare! The best in every way. I have been going over 15 years (since I moved to VT) and have always been extremely appreciative of the knowledge, ethics, up to date machines, thoroughness, caring and friendliness. Also, a very inviting and clean facility. The Dr. that I see has always been fantastic to me and my case. I really treasure her and this practice. Our appointments at this office are always pleasant. The doctor and staff are professional, knowledgable while also being down to earth and relaxed. They explain everything they are doing before they do it and give full explainations about results in terms you can fully understand. It is always a pleasure for both me and my kids. Had a great experience at this office! From the ease of making my appointment, being greeted and welcomed by the staff, to my visit with the optometrist, Dr. Pittman. The doctor was very thorough, he listened to my questions and explained the answers in a way that I could understand. Thank you! His technician was kind and really knew her stuff! The eyeglasses are BEAUTIFUL here! The optician Miranda was so excited to show me some new eye wear they had just gotten in and I just fell in LOVE with her. She made the experience complete with her knowledge, upbeat attitude and professionalism! I will absolutely be back for another pair of glasses! I’ve been using White River Family Eye Care for as long as I can remember. They have always been courteous, friendly, and helpful. I’ve seen a few of the doctors there over the years, and have always had a great experience. Definitely recommend them! The ladies at the front desk have always been very helpful and empathetic when I have problems such as ran out of contacts and unaware of FDA prescription expiration law with next available appointment two months out. This was my first visit to White River Family Eye Care, and it couldn’t have been a better experience for an eye appointment. The office is clean and comfortable, the staff are friendly and considerate, the doctor and her assistant were approachable, thorough and professional, and I found an ideal pair of frames with the help of the optician right there on site. So convenient! I recommend them wholeheartedly. 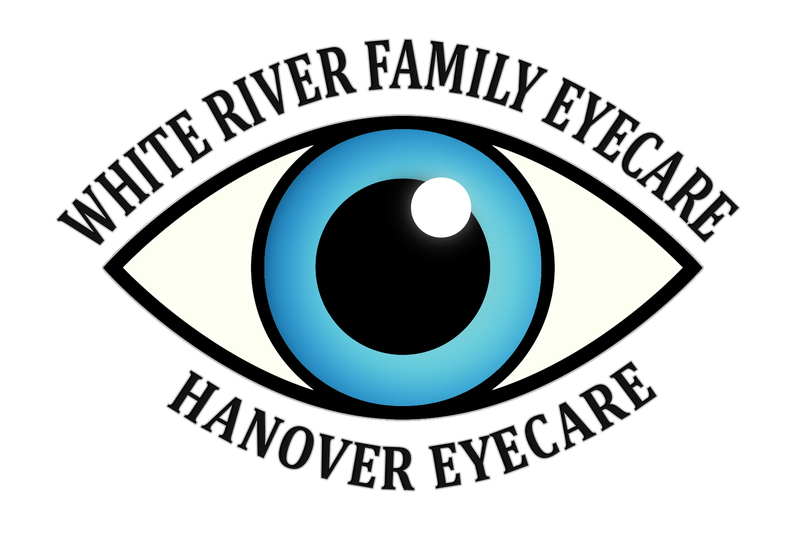 Our family has been with White River Family Eye Care for a few years. My eldest daughter found them and we all switched over.Excellent care from Dr. Dufour, she is always spending the time with her patients to give them a thorough examination. She explains all that she is doing and what she is looking for when examining your eyes.The service is great when trying to choose the right frames, they don’t push the expensive ones on you. They let you choose what fits your budget the best. Dr. Brannen has been my optometrist for years. He’s provided great care over that time. Examinations, glasses, lenses: all in one place from some who’s highly experienced. That’s the kind of person I want looking after my eyes.